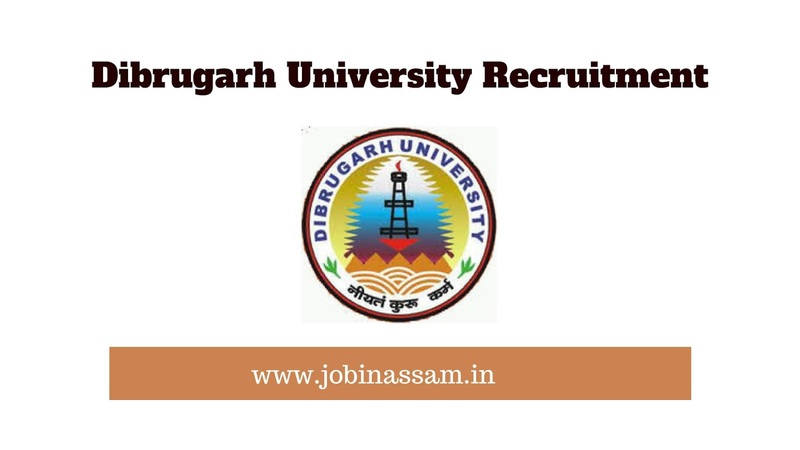 Dibrugarh University Recruitment 2019 for JRF || Apply Now: Applications are invited for two positions of Junior Research Fellow (JRF) in the Department of Physics and Centre for Atmospheric Studies under the project titled “Observational and modeling study of the Equatorial Ionization Anomaly (EIA) along 95ºE meridian” sponsored by the Indian Space Research Organization (ISRO), Department of Space under its RESPOND programme for a period of three (3) years. The selected candidates may be encouraged to register for Ph.D. under the Dibrugarh University guidelines for Ph.D. registration. Candidates with experience of working in the relevant domain would be given preference. Interested candidate should apply through online by sending their CV/Bio-data in the prescribed format to [email protected] (PI) and [email protected] (CO-PI) on or before 18th April 2019. The shortlisted candidates will be informed for interview by email/phone. The selection would be done on the basis of an interview conducted in Dibrugarh University. The candidate should bring their original mark-sheets, certificates and another credential at the time of practical examination and interview. these particulars will be checked/verified with the original mark sheet and documents before commencement of the computer/ system practical examination. The candidature of the candidate(s) whose particulars found false/wrong or manipulated will summarily be rejected and will not be allowed to appear in the computer/system practical examination and interview. No TA/DA will be provided to the candidate for appearing the practical examination and interview. Date & Venue of the Interview: 26 April 2019 (Confirmed date to be informed to the shortlisted candidates by email). Department of Physics & Centre for Atmospheric Science, Dibrugarh University.